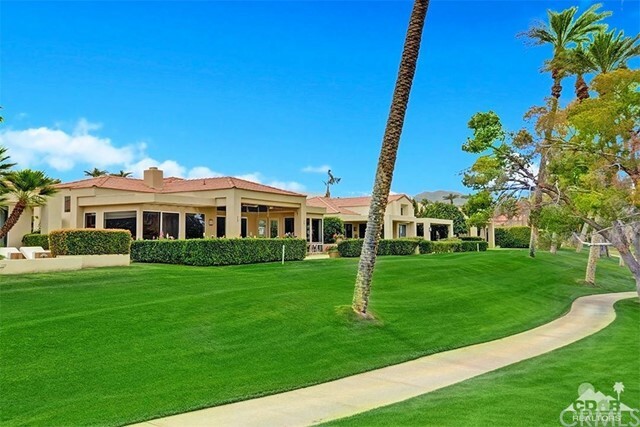 Endless Fairway Views with Mountains and Lake are yours from this 4 bedroom, 4.5 bath home located on a quiet interior cul-de-sac. 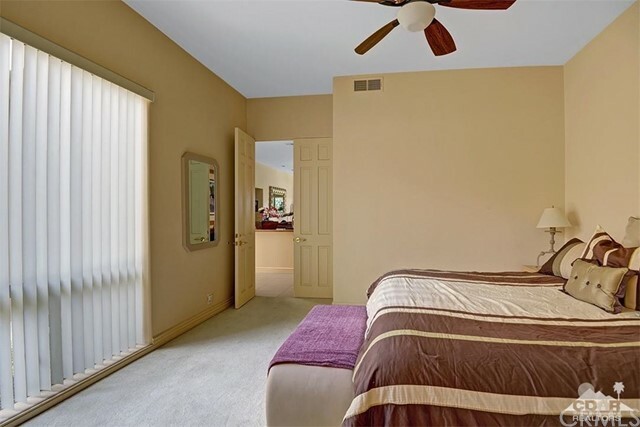 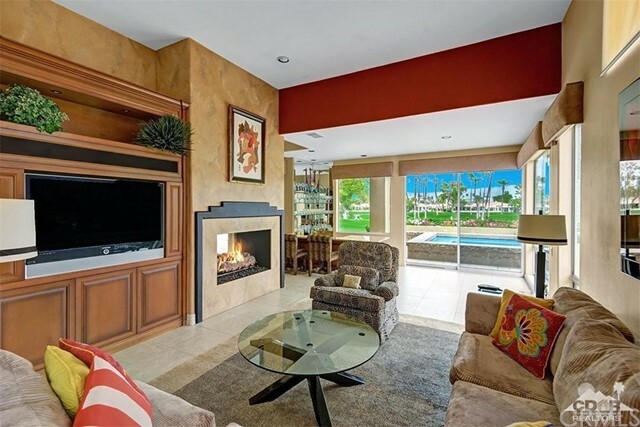 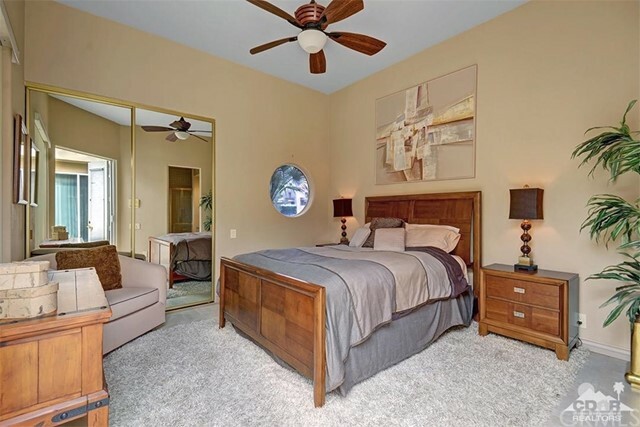 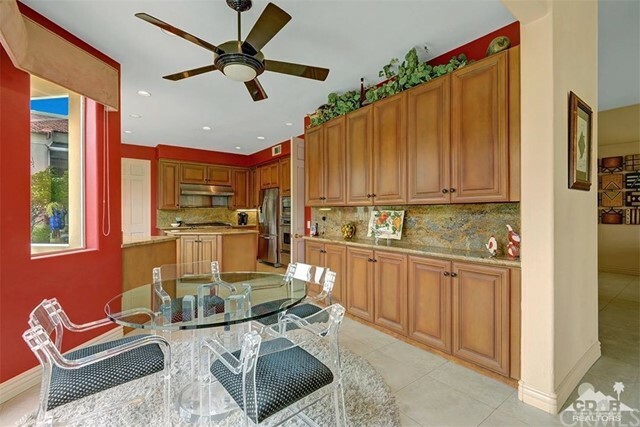 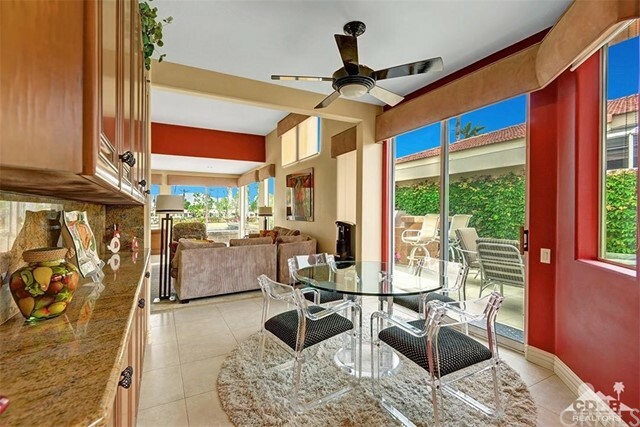 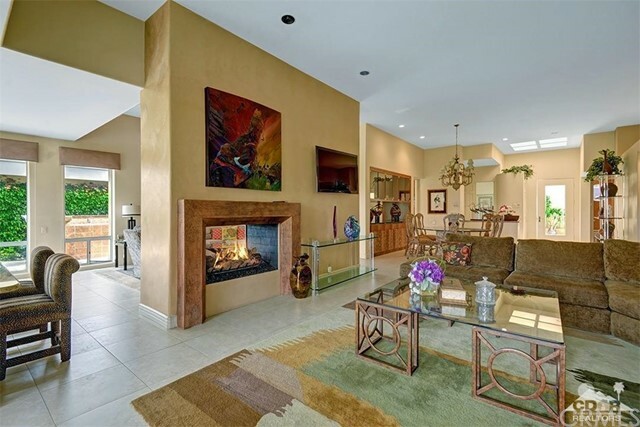 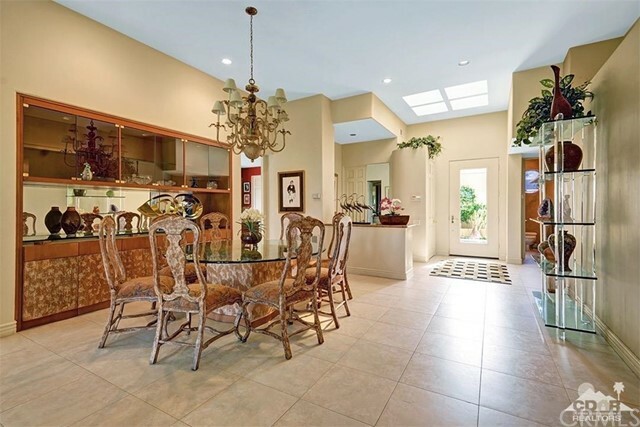 This tastefully Furnished & Appointed Home offers an open floor plan, perfect for entertaining. 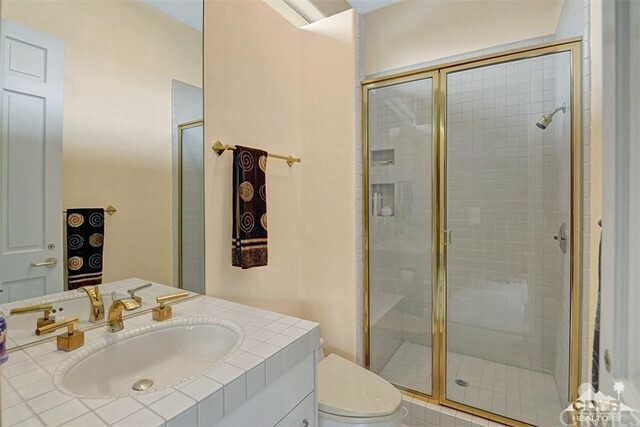 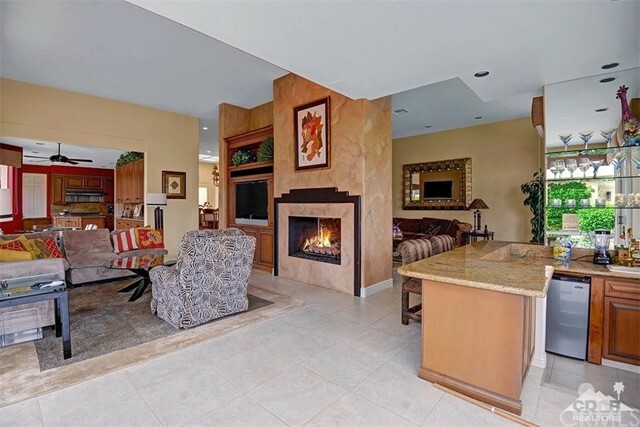 Highlights; upgraded granites, high ceilings, custom built-in cabinetry, Living Room with dual-sided Fireplace, Dining Room, Great Room w/ Wet Bar with walls of windows looking out to the Views. 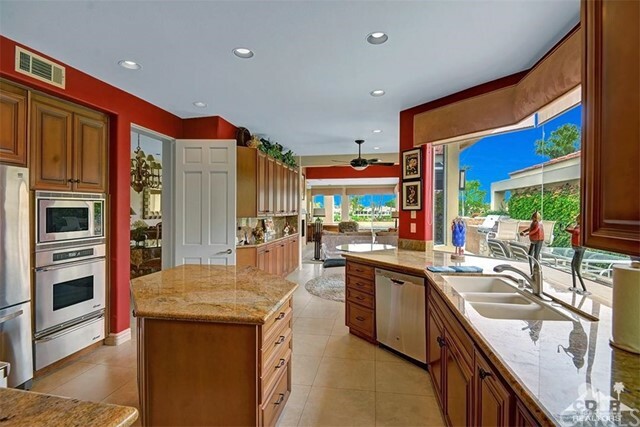 Chef's Kitchen with Island, warm-finished banks of cabinetry, granite countertops, Stainless steel appliances & breakfast nook. 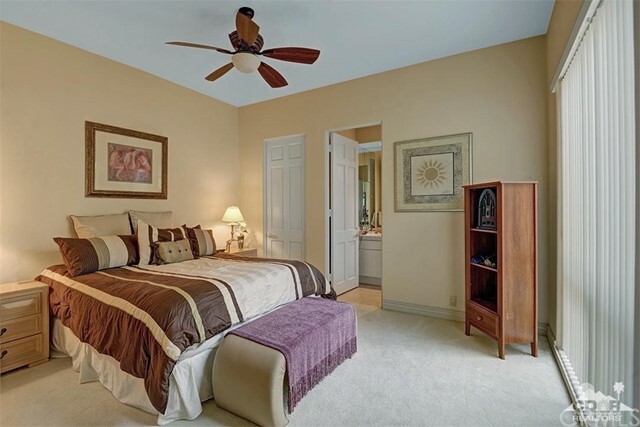 Luxurious Master Suite boasts a spa-style bath, dual vanities & generously sized walk-in closet. 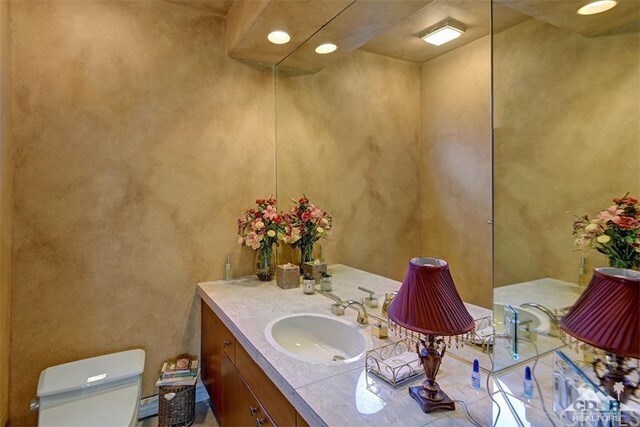 For your Guests~ Casita with en-suite bath, the 2nd & 3rd Guest Rooms have en-suite baths. 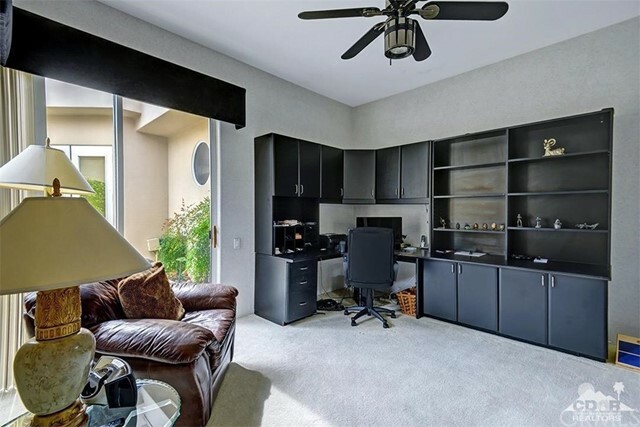 3rd Bedroom has a custom Office. 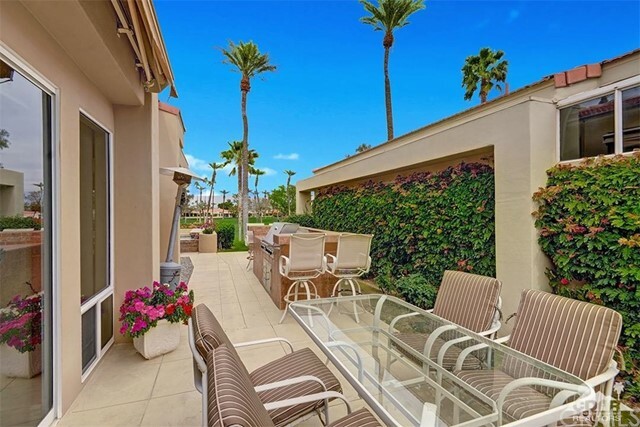 Enjoy the entertaining outdoor wrap-around Patio setting with built-in BBQ and large sparkling Spa. 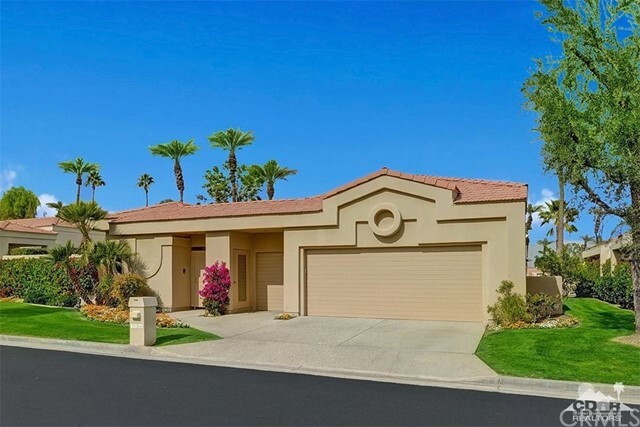 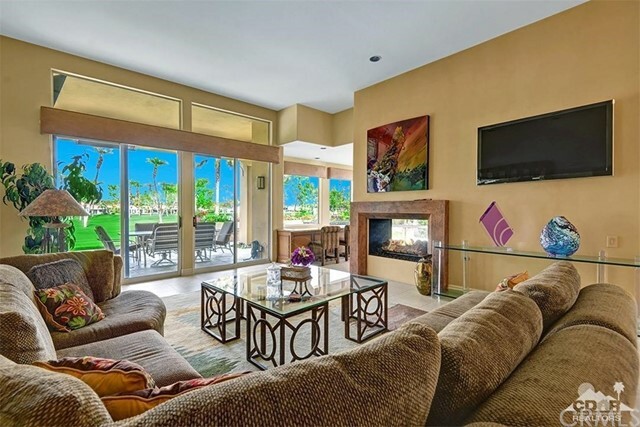 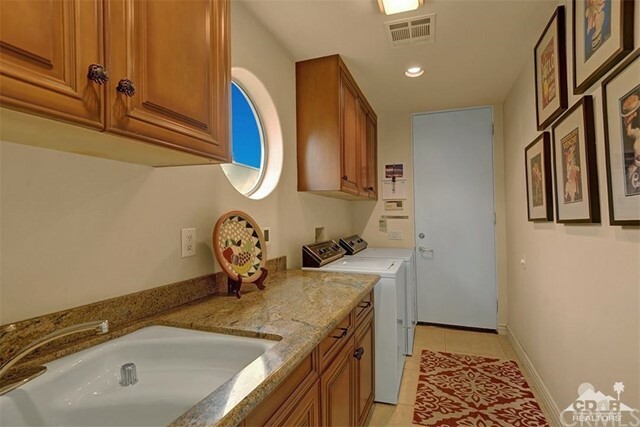 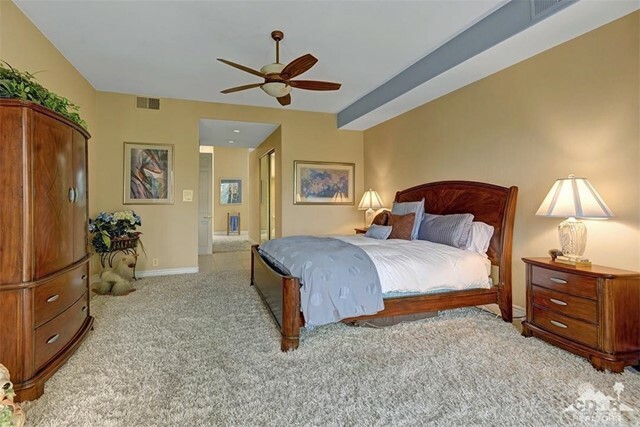 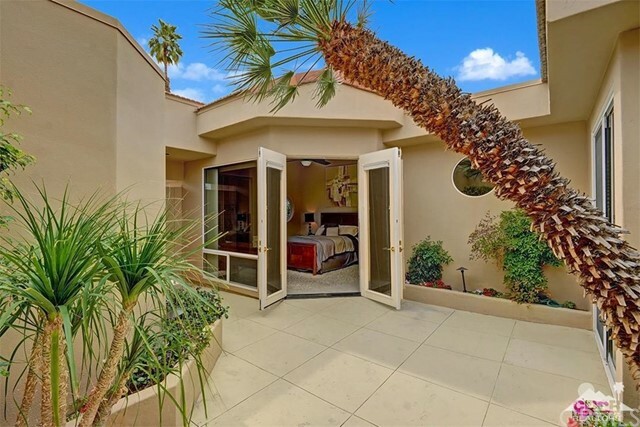 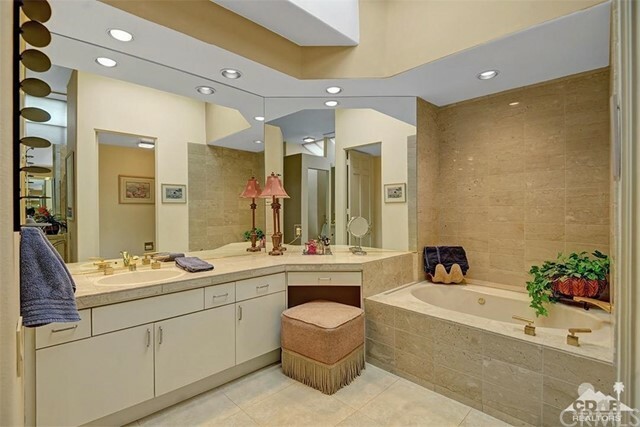 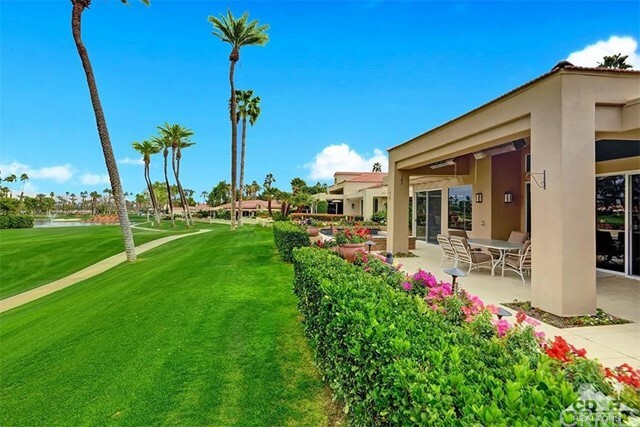 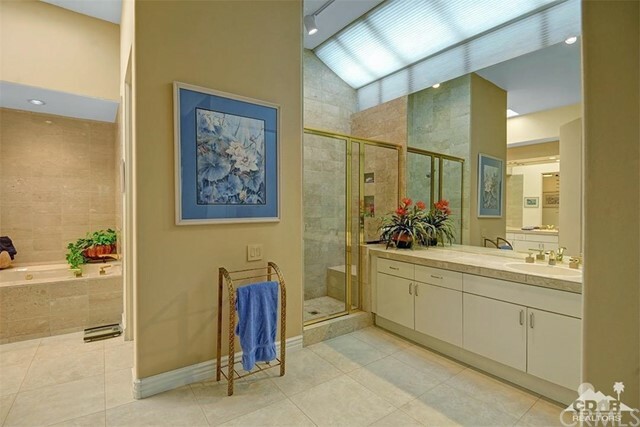 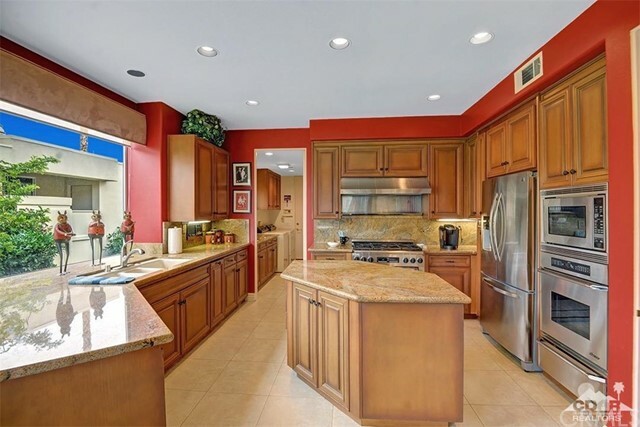 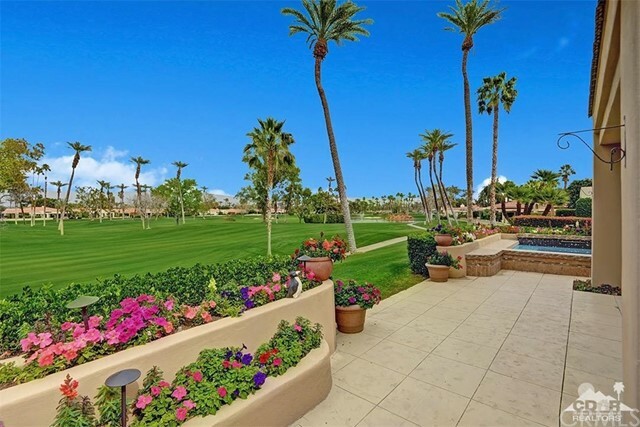 3 car garage complete the home ~ picture-perfect lifestyle at this premiere Indian Wells location.